Planting trees is one of the best things you can do for the environment. Trees reduce air pollution, help control erosion, provide oxygen, sequester carbon, provide habitat, and provide economic benefits such as curb appeal and reduced heating and air conditioning costs. 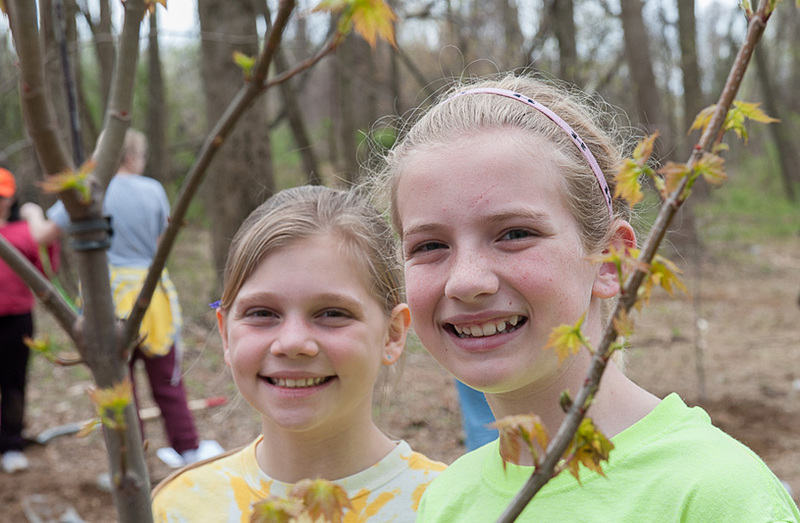 Please visit the Tree Programs page to learn about County programs that help residents plant trees. You can also get a $25 coupon towards a native tree through the Marylanders Plant Trees program. When buying or remodeling a home, ask your realtor or contractor about energy efficiency and other sustainable features. Learn more about Howard County’s Green Building and Green Neighborhood programs in the above section. Spending time outdoors is good for body and soul. Explore Howard County’s wide variety of parks and open space through the Howard County Parks Directory or use the Find Your Park app also listed on that page. Explore the Green Infrastructure Network page to see maps of wildlife “hubs” and “corridors” and to learn about the value that nature brings to our everyday lives. Landscape your home with low maintenance native plants. Reduce the amount of lawn you have. Fertilize and water lawns less frequently. Cut it high and let it fly – cut no more than 1/3 off of your grass at once, keep mower blades sharp and leave the clippings on the lawn.